This is my new favourite way to eat aubergine. I make it all the time. The flavours intensify in the oven and every part of the aubergine becomes delicious. It’s easy, simple, and there is no waste! You can adjust the flavours depending on what you are serving it with. If you’re serving with Italian food, use fresh basil, dried oregano, and lots of garlic. 1. Pre-heat oven to 200 degrees C. Slice aubergine long ways and place on a baking tray. 2. Prick the aubergine with a fork and drizzle with olive oil. Rub the garlic onto it. Sprinkle the rest of the herbs and spices on top. 3. Bake for around 40 minutes depending on your oven. Before serving, use a knife to check the aubergine is soft and cooked all the way through. I think it is delicious served as a side dish with Moroccan style lamb and cous cous. Posted in Recipes and tagged aubergine, baking, eat, food, herbs and spices, photography, photos, recipe, recipes, vegan, vegetarian. Bookmark the permalink. Oh, you know I love a quick, easy and delicious dessert! This is definitely all of those things. It is not a completely authentic tiramisu recipe, but it is so effortless, so quick, and so tasty! I created it because I wanted to use up some leftover mascarpone, but I’m so glad that it worked out well because I will without doubt be whipping this up in a flash next time I need a quick treat! You will need some shot glasses or very small ramekins. I think it looks best served in glass so you can see the beautiful coffee biscuits and creamy layers. Takes around 15-20 minutes, plus chilling time. 1. Mix the cocoa powder with a 1/4 cup of boiling water, and stir until the powder has completely dissolved. Add the coffee, and if you have any you can add a little marsala wine too (don’t worry if you don’t have any). 2. Cut the sponge fingers into 4 quarters, and soak in the coffee-chocolate for 5 minutes. 3. Mix the mascarpone with the creme fraiche or cream and stir in the icing sugar. You can add more sugar if you like it really sweet. 4. Start layering the glasses. First put a teaspoon of creamy cheese, then a sponge quarter, and keep layering until you fill the glass. Smooth over the top with some cheese, and then decorate with a sprinkle of cocoa. Posted in Recipes and tagged baking, coffee, cooking, dessert, food, Italian, photography, photos, recipe, recipes, tiramisu, vegetarian. Bookmark the permalink. Once again I have been blogging over on CartoonKippah.com; this time a completely unique and delicious take on a chilled cheesecake. 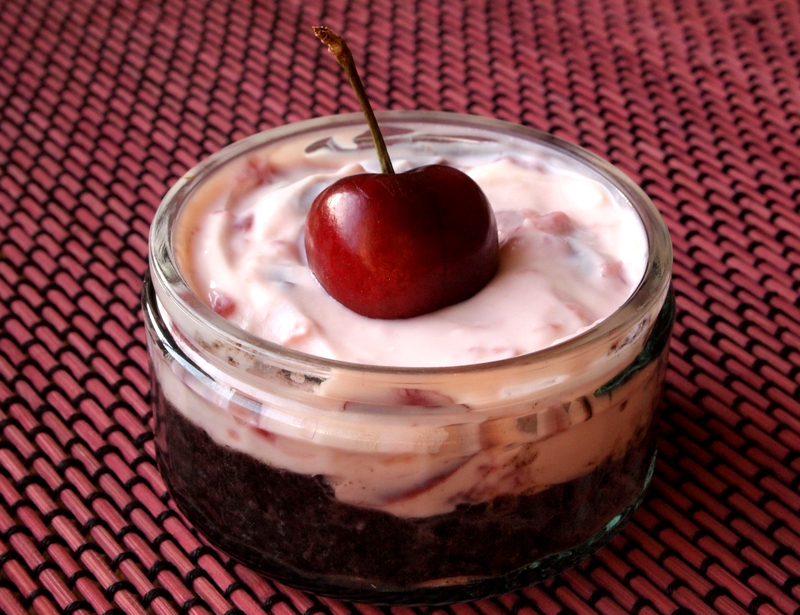 I created this cheesecake for Shavuot, a Jewish festival during which we eat dairy foods. My mum usually makes several delicious Israeli style baked cheesecakes topped with all sorts of summer fruits. Some Jews will eat cheese blintzes, a thin pancake. This recipe is perfect for Shavuot, or simply as a delicious summer dessert. Definitely one for the sweet tooth! All written content and photographs copyright Vered © 2012. All rights reserved. Posted in Jewish, Recipes and tagged cheesecake, dessert, food, Jewish, kosher, photography, photos, recipe, recipes, shavuot. Bookmark the permalink. This is literally one of the most delicious homemade snacks I have ever made. They took me over an hour to make and were devoured within 3 minutes! But so worth it. 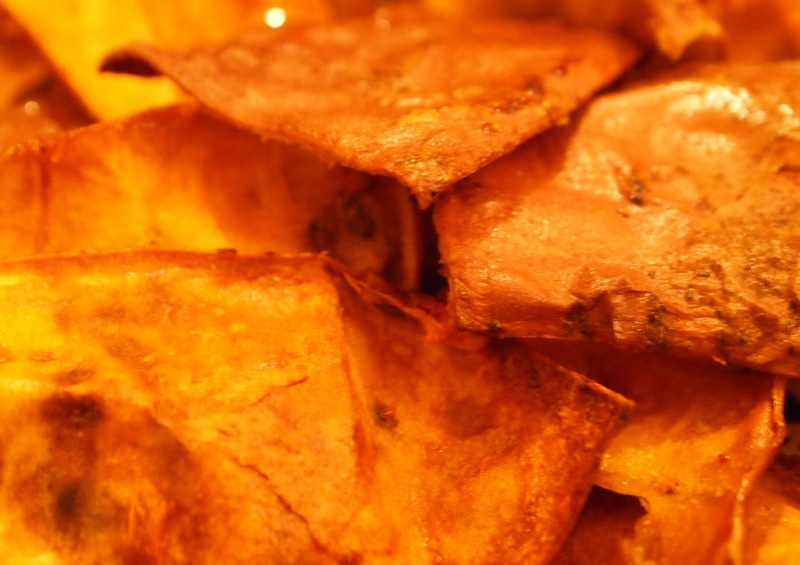 This recipe saves on wastage, saves money, and ensures that you know exactly what ingredients are in your crisps. No msg, additives, or preservatives. Also, as I’m running on a Passover theme, this is a great way to make sure your crisps are kosher for passover! 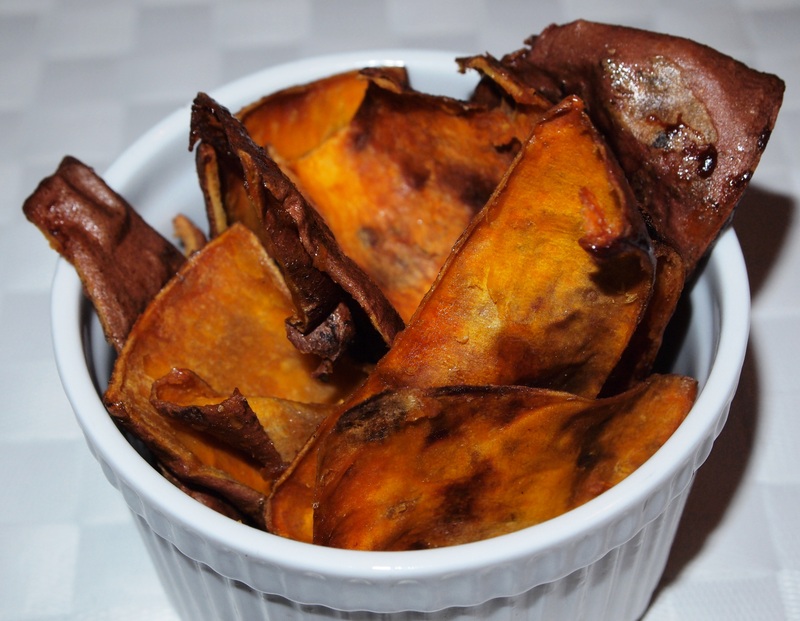 I was making sweet potato mash and saw a great opportunity to use the tasty crispy skins as a snack. But there are two ways to make these; you could also keep your peelings from sweet or normal potatoes and roast them separately. 1. 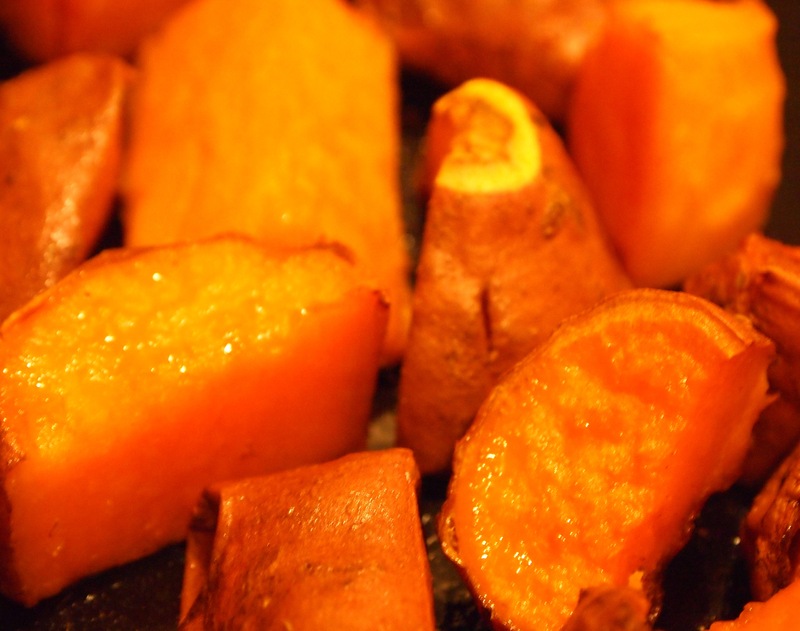 Roast skin on sweet potatoes for 1 hr on 220 degrees with a drizzle of olive oil. Turn several times during roasting. 2. Remove the skins and mash the soft part of the potato with salt and pepper. Put the skins back on the oven tray. There should still be enough oil on the tray but if it is very dry add another drizzle of olive oil. Sprinkle with salt and put back in the oven on 250 for 15 minutes. 1. Wash and peel potatoes or sweet potatoes. Mix with a little olive oil and a sprinkle of salt and place on an oven tray in the middle of a hot oven. 2. Cook for about 45 minutes at 250 degrees or until the skins are cooked and crispy. 3. Cook the insides of the potatoes however you want. 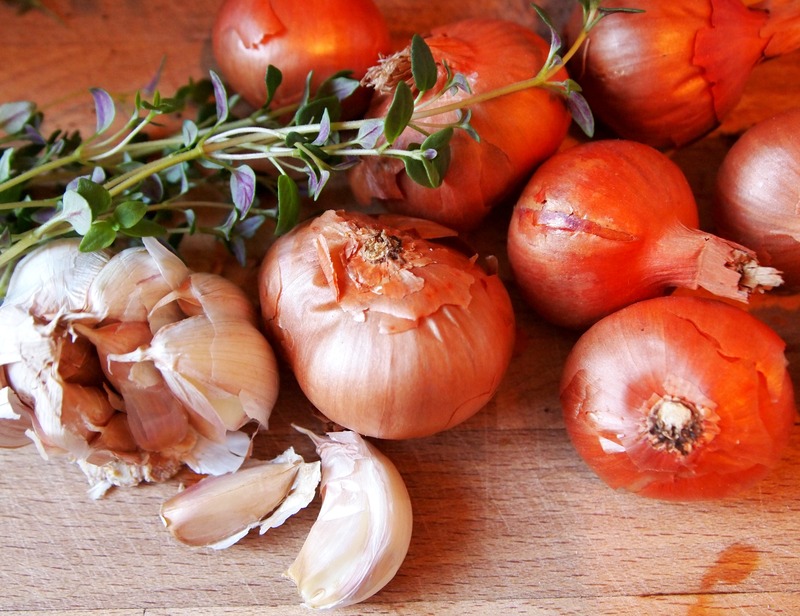 Boil, roast, or use in soups, stews, pies…see my recipes below. These crisps are delicious with tzatziki dip or just on their own! Posted in Recipes and tagged crisps, food, homemade, kosher, Passover, photographhy, photos, recipe, recipes, snacks, vegetarian. Bookmark the permalink. Great news readers! As well as my regular recipes and photographs here on my blog, I will now be posting kosher recipes over on CartoonKippah! They will be recipes inspired by my mixed Jewish background and will feature my own photography. 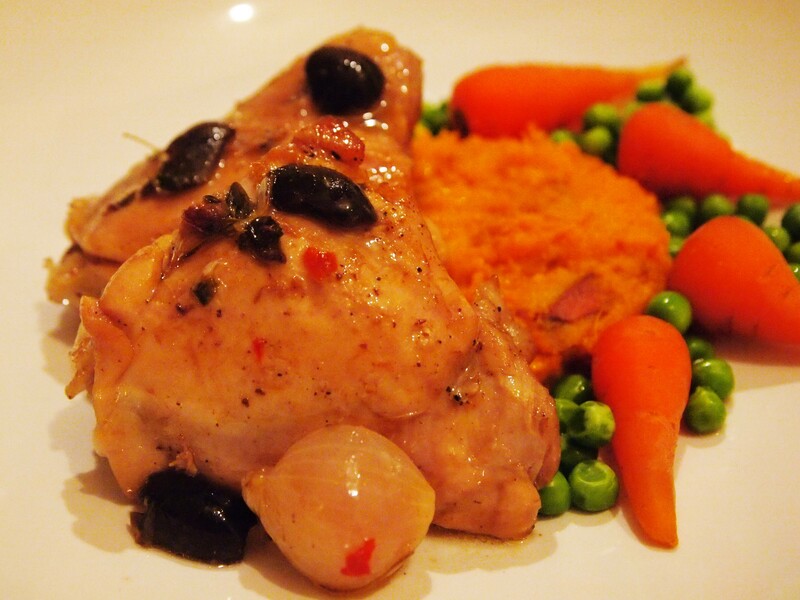 Nothing will change on my own blog, I will just be cooking lots more! My first post is a Kosher for Passover recipe for Fish Bites. It’s a healthy, cheap and low-fat recipe suitable for pescatarians, dieters, and those keeping Passover. Perfect for lunch or a starter. I hope you will check it out, enjoy! Posted in Jewish, Recipes and tagged food, Jewish, kosher, Passover, Pescatarian, photography, recipe, recipes, vegetarian. Bookmark the permalink.